The Health Sciences Innovation Building (HSIB) is an inter professional, multidisciplinary medical and health education training, research, and simulated practice facility on the UA Health Sciences Campus. The 245,000 GSF facility was designed in collaboration with CO Architects as a flexible environment for interdisciplinary health education. 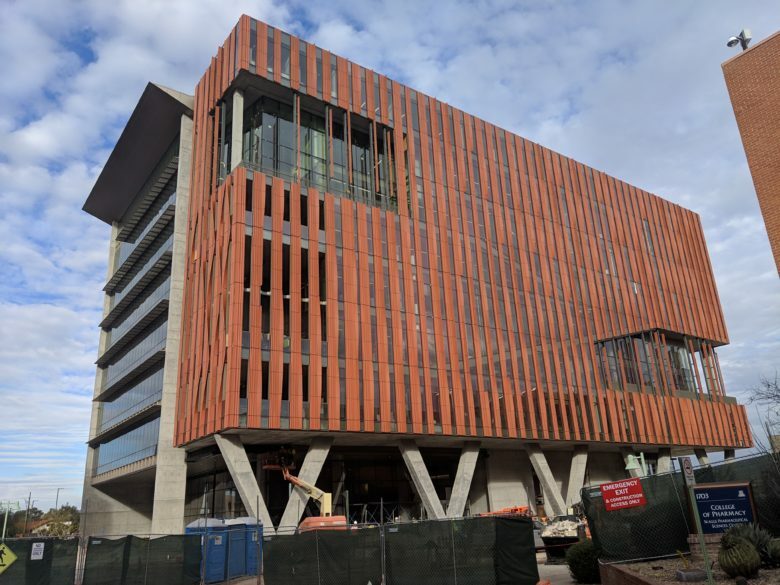 The program includes a clinical skills and simulation center, classrooms and team learning areas, wet and dry research labs, administrative offices, and a community event space. The simulation center features a black-box theater at its center that enables realistic immersive training environments, with a gallery space for unobtrusive viewing from the floor above. The first floor Forum space creates an indoor-outdoor community space for the entire Health Sciences Campus.